The joint inscription of Melaka and George Town, the Historic Cities of the Straits of Malacca as a UNESCO World Heritage Site on 7 July 2008, was based on the Outstanding Universal Values (OUV) of cultural diversity embodied and embedded in living heritage and built heritage. OUVs are a set of ideas or values which are universally recognised as important or as having influenced the evolution of mankind as a whole at one time or another. Melaka and George Town, Malaysia, are remarkable examples of historic colonial towns on the Straits of Malacca that demonstrate a succession of historical and cultural influences arising from their former function as trading ports linking East and West. These are the most complete surviving historic city centres on the Straits of Malacca with a multi-cultural living heritage originating from the trade routes from Great Britain and Europe through the Middle East, the Indian subcontinent and the Malay Archipelago to China. Both towns bear testimony to a living multi-cultural heritage and tradition of Asia, where the many religions and cultures met and coexisted. They reflect the coming together of cultural elements from the Malay Archipelago, India and China with those of Europe, to create a unique architecture, culture and townscape. Melaka and George Town represent exceptional examples of multi-cultural trading towns in East and Southeast Asia, forged from the mercantile and exchanges of Malay, Chinese, and Indian cultures and three successive European colonial powers for almost 500 years, each with its imprints on the architecture and urban form, technology and monumental art. Both towns show different stages of development and the successive changes over a long span of time and are thus complementary. Melaka and George Town are living testimony to the multi-cultural heritage and tradition of Asia, and European colonial influences. This multi-cultural tangible and intangible heritage is expressed in the great variety of religious buildings of different faiths, ethnic quarters, the many languages, worship and religious festivals, dances, costumes, art and music, food, and daily life. Melaka and George Town reflect a mixture of influences which have created a unique architecture, culture and townscape without parallel anywhere in East and South Asia. In particular, they demonstrate an exceptional range of shophouses and townhouses. These buildings show many different types and stages of development of the building type, some originating in the Dutch or Portuguese periods. The 109.38-hectare core zone and 150.04-hectare buffer zone of the George Town UNESCO World Heritage Site contain a total of 5,013 buildings, including shophouses which are home to long-time residents, and places of worship that are still functioning as they were hundreds of years ago. There are 37 places of worship, mainly mosques, Chinese temples, Indian temples and churches, within the core and buffer zones of George Town. The harmonious co-existence of multicultural influences is prevalent in George Town especially in Jalan Masjid Kapitan Keling and Lebuh Cannon where religious buildings of different faiths are located. Also noteworthy are Little India, home to an array of curry spices and bright sarees; clan jetties along Weld Quay, where each jetty is named after the clan’s surname; and the bustling Chowrasta Market and Campbell Street Market, which offer a rich cultural heritage experience. The multicultural community present in the World Heritage Site are still practising their cultural beliefs and traditions. These communities have the opportunity to share their culture with others in the annual George Town Heritage Celebrations held in July. Religious festivals draw in tourists every year, such as Thaipusam, with the breaking of coconuts and chariot procession, and the month-long Hungry Ghost Festival, which features opera performances and puppet shows. Traditional trades are also still ongoing within the site, with local artisans and practitioners such as the joss stick maker, songkok maker, shoemaker, watch maker, tailor, rattan crafter, and trishaw maker, among others, who are still perfecting their crafts and serving locals and tourists. 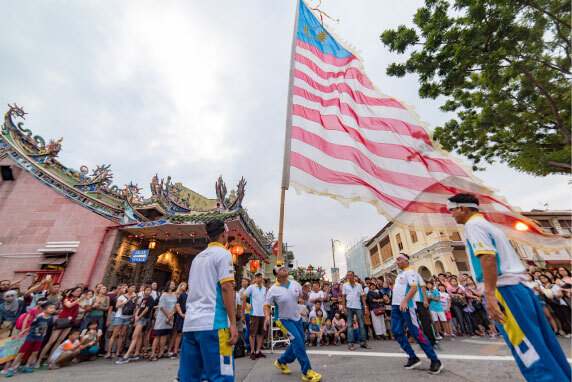 The George Town Festival is also organised every year to commemorate the inscription of George Town as a UNESCO World Heritage Site. 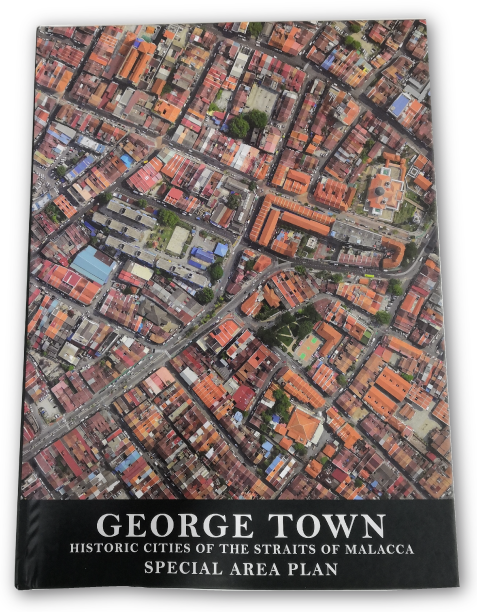 The George Town Special Area Plan (SAP) is the Conservation Management Plan for the George Town UNESCO World Heritage Site. The SAP is the reference for the community, building owners and the public, especially those living in the World Heritage Site, for better care and management of the heritage buildings. It contains management strategies and action plans to protect the Outstanding Universal Values of the World Heritage Site. PLANMalaysia@Pulau Pinang, Penang Island City Council and George Town World Heritage Incorporated are responsible for facilitating the content development of the SAP. The SAP is available for purchase online or at the George Town World Heritage Incorporated office.